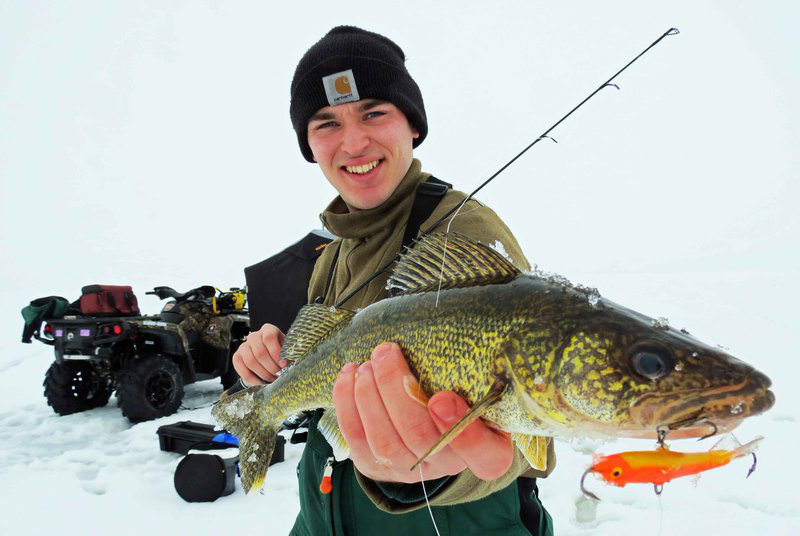 As the hot bite of the early ice fishing season begins to subside, anglers often find it difficult to nail down consistent patterns for walleye in the middle of the season. That said, often all it takes is a change in approach and knowledge of where these fish tend to congregate as they shift their behavior. Here are some proven tactics from experienced ice fishermen that know this period of the season has the potential to be just as productive as any other. A major key to locating walleye under the ice in the middle of the season is to concentrate on offshore structure. Ideally, structure that is separated from the shoreline – including reefs, humps and crowns – will be your best bet. And the bigger, the better. Large offshore structure tends to offer more diverse and varied opportunities for cover, and therefore tends to hold more fish. That said, you can absolutely key-in on smaller offshore structures – tiny humps, rock piles, etc. – as well as they will still hold fish, just not as many. Another important consideration here is to try and find offshore structure that’s adjacent to a flat. These flats will provide a cruising area for fish and keep them comfortable as they move move towards and away from the structure. 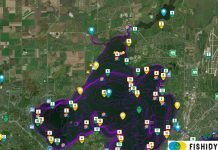 With the use of detailed fishing charts, begin searching for depths in the range of 30-40 feet that offer structure rising up to around 20 feet. Keep in mind that the deeper the top of the structure, the longer bites will last. 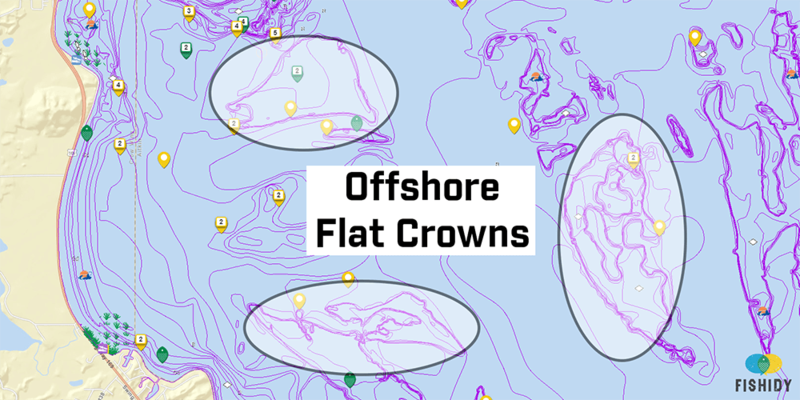 Also, you want a larger structure crown – ideally, a big, flat crown with some mixed habitat perhaps including rock on one side, a slow taper on one side, and another side with a hard break. This give you the opportunity to maximize your time by investigating a lot of different situations on one piece of structure. And here’s another great tip: remember to drill three holes in each location – one on top of the structure, one on the break, and one off the break in deeper water. If someone gets on a bite, be prepared to drill a second sequence of holes in that spot, so keep your auger close while fishing. 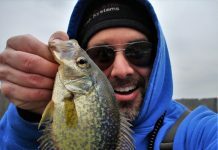 The middle of the ice fishing season may seem like a tough time to find green vegetation and weeds, but when you do find the right spot, walleye will likely be abundant, chasing young-of-the-year bluegill and crappie. 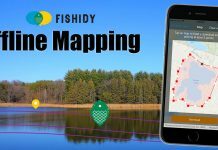 Hi-tech mapping and sonar, a tool like the Fishidy mobile app, or the use of an underwater camera can be extremely valuable for this task. Once green, standing weeds are located, catching walleyes typically becomes a matter of working the holes and corners of the bed. This is where tip-ups come into play, because you might be really stretched out. 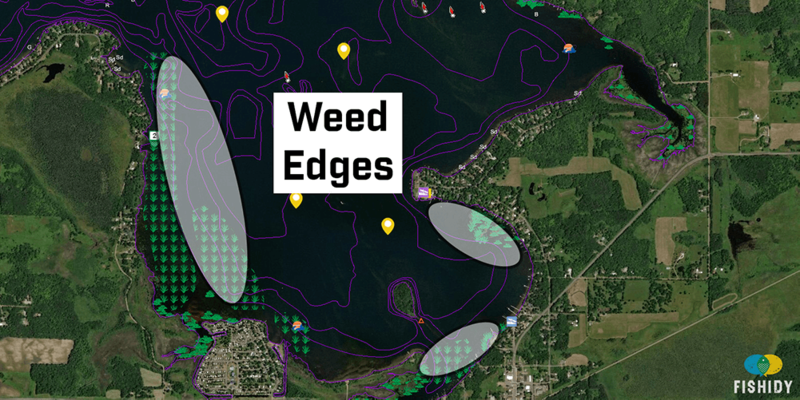 You may find a hole in the weed bed that’s 300 feet away from where you’re jigging. That said, green weed beds can be a great place for family fishing. Use lots of tip-ups and jig sticks to cover the most area possible, and a family or group can enjoy some banner mid-season days on the ice! Success under the ice doesn’t always mean using live bait. 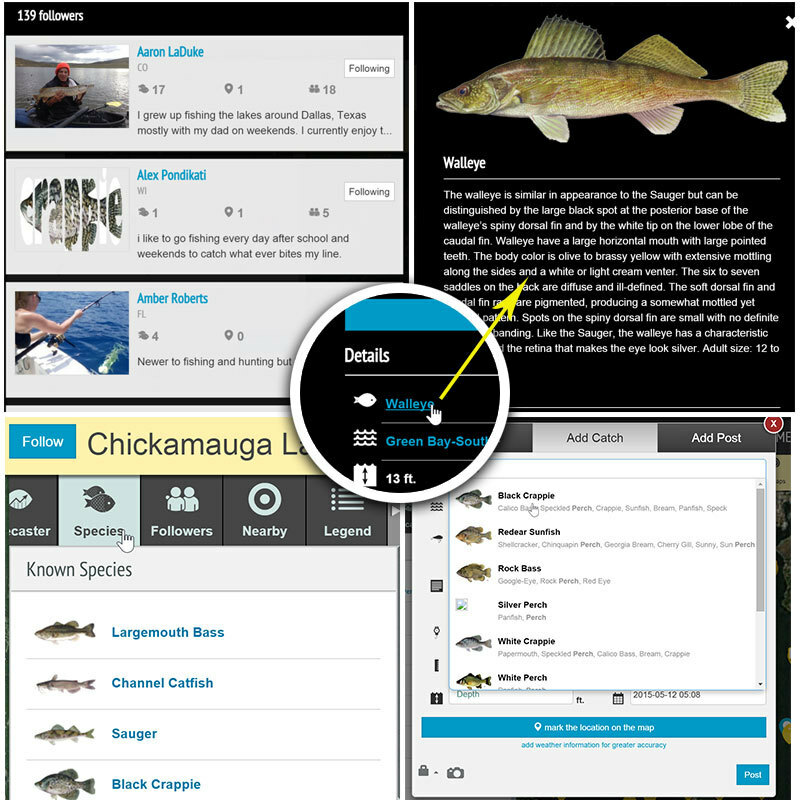 There will be occasions when changing to an artificial presentation can prove to be just as promising – and often outperform live bait – under the right conditions. 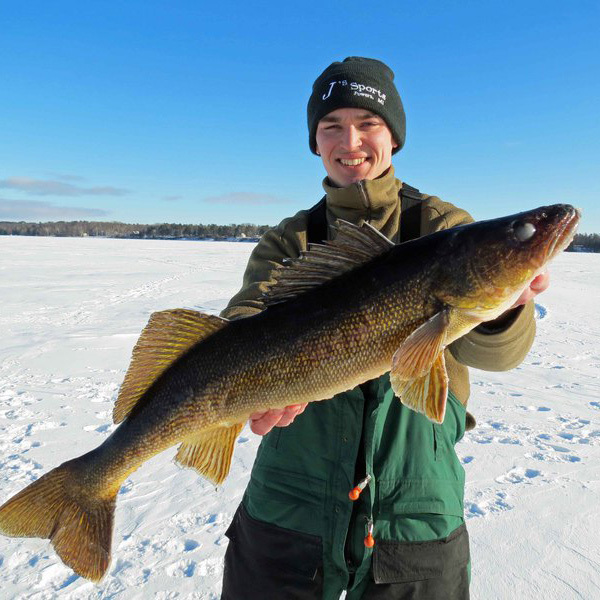 Jigging minnows and lipless rattle baits can be lethal for walleye during the middle of the ice fishing season. 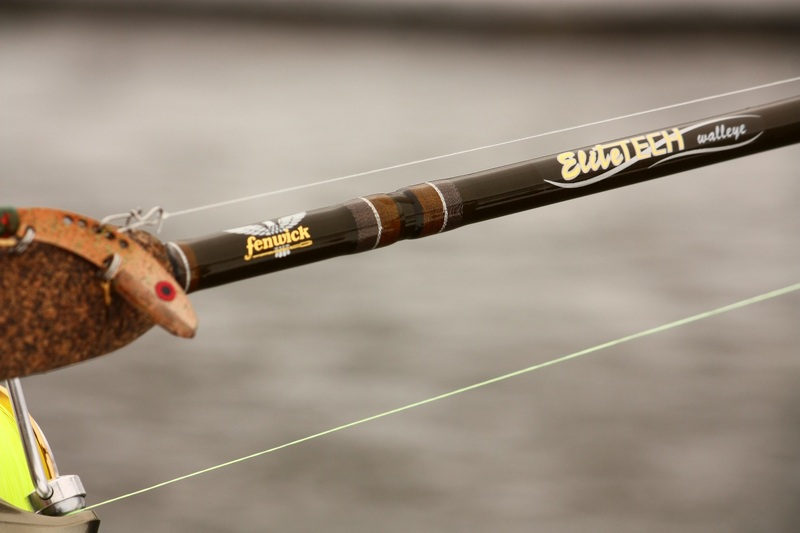 In particular, rattle baits offer great versatility and they can be fished effectively at a variety of depths. Cadence is key. 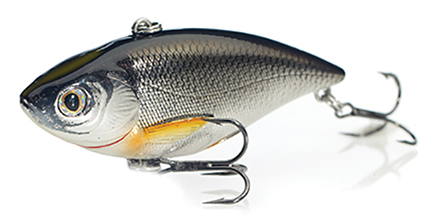 The free-fall is especially important with rattle baits; you’ve got to limp line the bait down so it does everything it’s supposed to do without forcing it to have an unnatural wobble on the descent. Because the body profile of rattle baits is so natural, a lot of times fish will hit them on a dead stop with no movement. You can literally have one sitting motionless for a minute or more and a walleye will come up and hit it. The silhouette – even at a standstill – resembles young-of-the-year fish that spend much of their time barely moving, almost in suspended animation. When walleye are approaching small bluegill or crappie at dusk in the weeds and those panfish are shut down, the walleye will still be active because they are used to motionless prey. Keep this in mind with your jigging cadence. It doesn’t always have to be wild or erratic. Try experimenting with slower movements and even dead-sticking, you might be surprised at the resulting strikes.